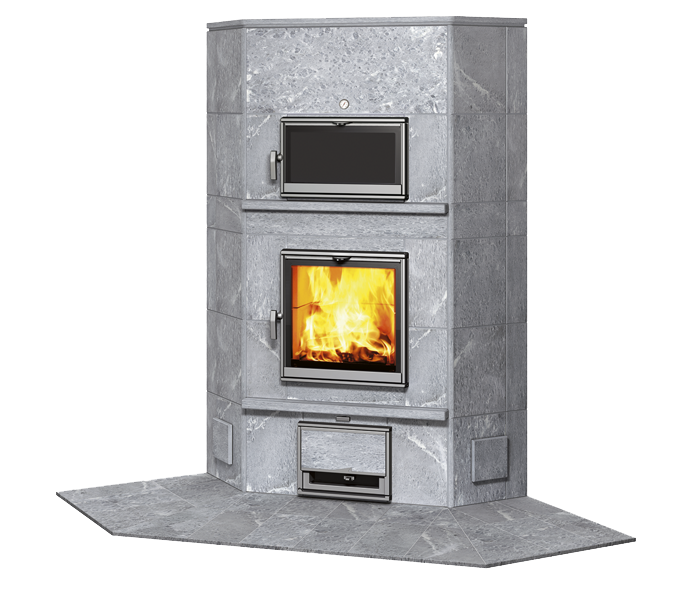 KTLU 2050/92 is a modern fireplace/bakeoven for modern homes. The fireplace/bakeoven can also be easily placed in the corner of a room, which will save floorspace. You can burn wood in the bakeoven of Tulikivi fireplaces.